Here are some photographic impressions of a new symbol of Dublin, the Samuel Beckett Bridge. The bridge exists to provide a link between the newly redeveloped Dockland areas to north and south of the river Liffey. From the first time I saw it, I was very impressed with it. Its graceful, sweeping shape looks very pleasing. The supporting cables are eye-catching and I thought reminded me of something. Later I realised what it was: the harp, prime symbol of Ireland that can be seen on coins, government buildings and Ryanair planes. This is a composite panoramic photo consisting of three overlapping images. I merged them in Photoshop Photomerge. The camera settings were 1/320s f/10.0 and ISO100. Going from the standard settings, these settings are plus two and two thirds, plus one and two thirds and minus one, respectively. The light level is therefore plus three, which is typical for a scene lit by bright sunshine. The angle emphasises the width and unique triangular form of the bridge, seen from this angle. Looking east along the river Liffey through the Samuel Beckett Bridge towards the twin chimneys of Ringsend power station. Camera settings 1/250s f/9.0 ISO100. Plus two, plus one and a third and minus one respectively, the overall light level is plus two and one third, typical of a daytime scene in bright sunshine. Camera settings are: 1/250s f/8.0 ISO100 plus two, plus one and minus one respectively. Overall light level is plus one. This photo was taken six and a half years before the photos above from a similar viewpoint. The bridge is about to be placed in its permanent position. There is smoke coming out of the chimneys of the power station. Since then the chimneys are no longer in use but have been allowed to stand as they are a such a familiar symbol of Dublin. Camera settings 1/30s f/7.1 ISO800(estimatd) The camera was the Nikon D100, capture date 1 November 2006. The ISO wasn’t recorded but I would estimate it to be around 800, so the overall light level is minus three and two thirds. This moody and atmospheric view was taken from the ferry from Holyhead as it was about to dock in Dublin. If you’re interested in finding out more about my very useful approach to camera exposure, why not come on one of my photo walks or book a one to one session. I’ve always been fascinated by the Dublin suburb of Rathmines. To English ears it’s a strange-sounding name. There are no coal mines in Rathmines, the name just means ‘Ring fort of Maonas’. To anyone who knows Dublin, the name in the past might have conjured up various images: ‘bedsit’, ‘dormitory’, ‘sleepy’, ‘students’ and ‘old-fashioned’. But today the words we might think of are ‘property’, ‘upmarket’, gentrified, ‘cosmopolitan’, ‘residential’. 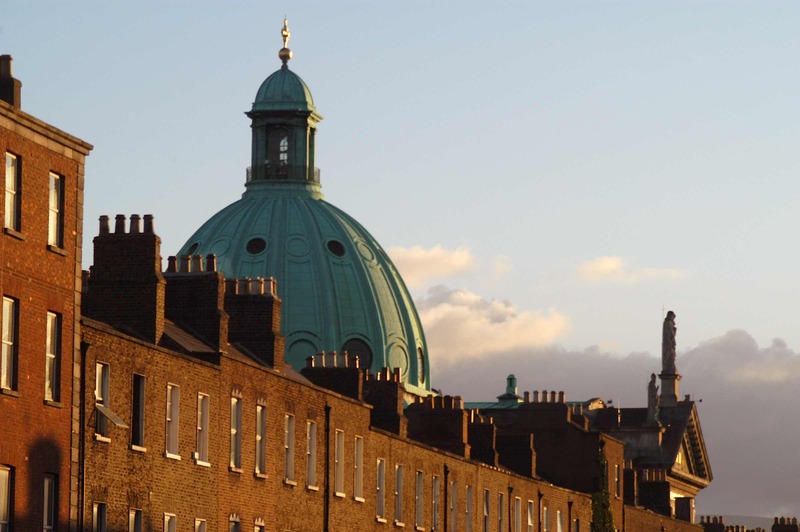 I lived at Trinity Hall just to the south of Rathmines for two years as an undergraduate. I regularly took the 14 (now 140) bus along Rathmines Road and Palmerston Road. The area left a deep impression on me. Rathmines is located in south Dublin, around two miles (3km) from the city centre. To get there it takes around 15 minutes on the bus from O’Connell Street or you can take the Luas tram to Ranelagh. Like many parts of Dublin it has a strong feeling of the past. Everywhere there are houses from the 18th and 19th century. There are relatively few modern buildings. It seems like a vast conservation area. There are some listed buildings. The former Rathmines Town Hall was completed in 1898. In 1930, the township was incorporated into Dublin City. 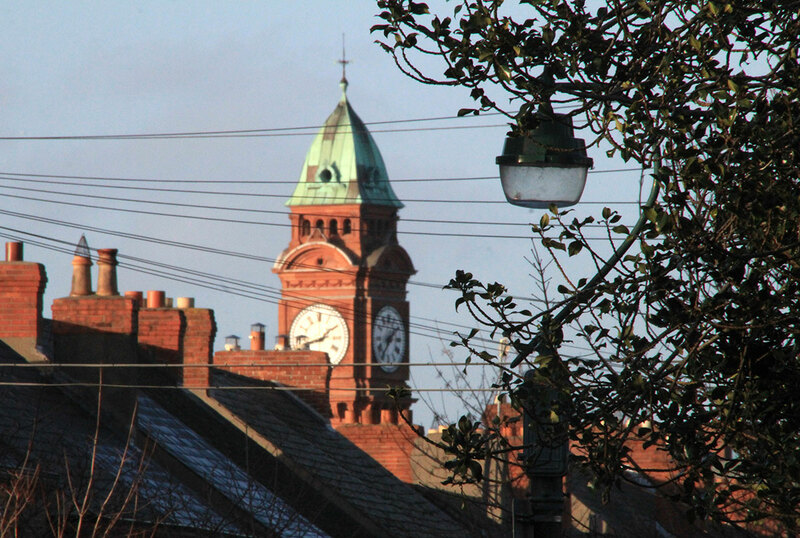 The town hall dominates Rathmines Road with its clock tower that seems too large in proportion to the rest of the building. Today it’s occupied by Rathmines College and on my January 2016 visit the clock was not working! Other landmarks include the imposing Church of Mary Immaculate, Refuge of Sinners with its large and distinctive dome. Like many Catholic churches it was in the past symbolic of the dominance of the Roman Catholic church. Now it seems to symbolise the opposite. Rathmines Road is a busy street, long and quite narrow, with a variety of shops and supermarkets including Aldi and Lidl. The well-loved ‘Stella’ cinema is still there but it’s empty and has a ‘to let’ sign. In the centre of Rathmines, Rathgar Road leads off to the right and Rathmines Road Upper continues to the left. The post office is still there, and there’s a Tesco supermarket opposite. Tesco wasn’t in Ireland when I was at Trinity. There seemed to be few ‘foreign’ influences then. Nowadays you’ll find many people from other countries – women with headscarves, men with Middle Eastern accents. I stopped at the Carnegie Library, opposite the town hall, to check my e-mail. In the past it might have been full of people from other parts of Ireland. Today it was full of people from other parts of the world. Rathmines is first and foremost a residential suburb. It has every variety of house from tiny terraced cottages to grand Georgian residences. There are impressive squares, wide roads, residential streets, narrow alleyways and tiny footpaths. Here and there there are modern apartment blocks but they generally seem to blend in with the 19th century edifices. In the past many of the houses in Rathmines might have seemed fairly average and affordable for anyone with a good salary. Today, parked outside the houses, you’ll find expensive cars and SUVs with the current year on the number plate. Rathmines has become a place of great affluence. Properties are now priced beyond the reach of most people, even those on the best salaries. In my opinion the most impressive part of the suburb is Palmerston Road. It’s a wide nineteenth century tree-lined avenue lined on both sides with beautiful Georgian terraced houses set back behind gardens. The ornate street lamps date from the late 19th century. This area looks virtually unchanged for well over a hundred years and this is definitely a selling point. Although Rathmines grew and developed into its present form during the 19th century ‘British’ period of Irish history, and had a Unionist (pro-British) majority until 1922, to me it seems to have an unmistakable sense of Irishness. I can’t quite explain it. It’s said that Eamon De Valera wanted to have the Georgian terraces around Merrion Square demolished as he regarded them as ‘foreign’. But he was wrong. This uniquely Irish style of architecture and town planning would have emerged no matter what the arrangements for Ireland’s government had been. Ireland became independent but the ‘British’ influence has remained and is part of the country’s unique character. During the Second World War, Ireland was neutral, and so unlike British cities, Dublin was wasn’t bombed, apart from a few mistaken raids where the Nazi pilots thought they were flying over Belfast. Metal railings were never removed. In Britain most railings were needlessly cut out for the war effort and to this day have never replaced. The result is that Dublin has preserved its past much better than most British cities, and Rathmines is a prime example of this. 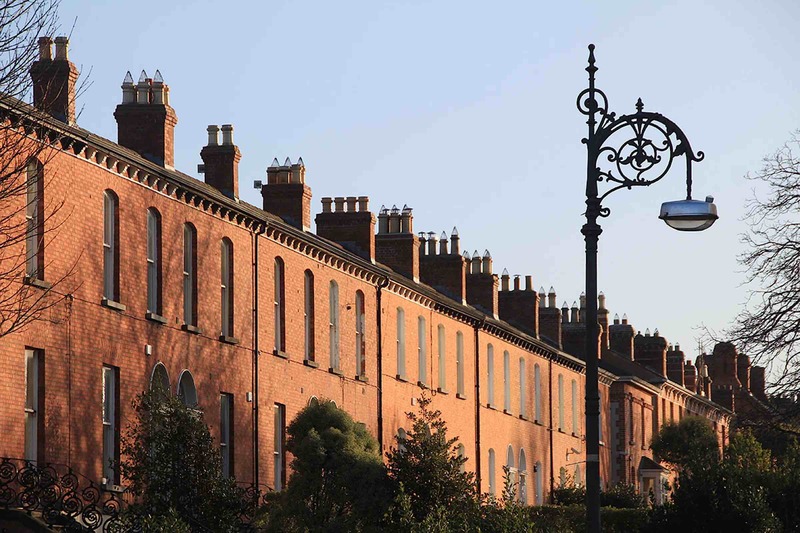 You’ll see many wonderful, original iron railings in Rathmines! My favourite place is Palmerston Park, situated next to my former place of residence, Trinity Hall. I often used to go for walks there. It’s a beautiful Victorian park with lawns, a waterfall and tree-lined footpaths. 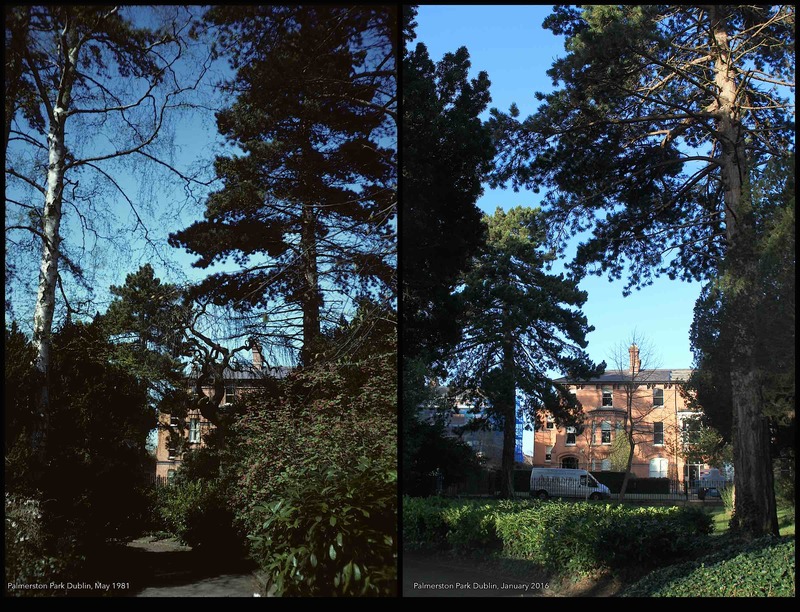 Looking through the trees, at the houses, if you ignore the modern cars, you could almost imagine yourself back in the era of James Joyce or Oscar Wilde. That’s the great thing about a place with a strong historic character. The past doesn’t go out of date, quite the opposite: a place that has preserved its heritage is future-proof. This article appeared in the Manchester Evening News that appeared on New Year’s Eve, Thursday 31 Dec 2015. In the first line I made a reference to the famous character Shrek and what he said to Donkey. Unfortunately the editors had to remove it! Presumably for brand usage and copyright reasons. Other than that the article that appeared in print is the same as here. The article has a sting in the tail, as I remember Library Walk, once a unique and atmospheric spot that was ruined in 2014 with the insertion of a clumsy and unnecessary glass cylinder. As Shrek said to Donkey: ‘Ogres have layers!’ and so do cities. Their fascination lies in the many facets left over past decades and eras. The 1930s is an interesting period in Manchester but much of its legacy is disappearing. This year Century House on St Peters Square was demolished and the impressive 1930s facade of Bootle St police station may go the same way. The striking art deco Northcliffe House (1931) was taken down over a decade ago. Other 1930s buildings stand proud : Ship Canal House, the former Midland Bank, Sunlight House, Arkwright House on St Mary’s Parsonage. The former Kendals, now House of Fraser, was completed at the end of the 1930s, as was the Daily Express building. A year later, 75 years go, a firestorm rained down on Manchester that would change its character forever. But the inter-war period is still alive. If you look up, it’s as if time has stood still. One of the most precious things is when a corner is left untouched. This was true of Library Walk between the Central Library (1934) and the town hall extension (1937) , until a modernist style glass structure was placed within it, the controversial link building which opened in 2015. Let’s hope Manchester’s ‘layers’ remain in 2016 and beyond. The 1930s office building Century House overlooks Peters Square and helped to give St Peters Square a strongly inter-war character. It was built for Friends Provident, set up by the Quakers. It was demolished in 2015. For years, the Liverpool waterfront has been one of my favourite subjects. I’ve photographed it quite a few times, especially at dusk. For me it’s the best view in the UK. Better than London, because the skyline is not so crowded and the river is wider. Better than Newcastle, although Newcastle’s great, with its series of bridges, and better than Glasgow which has quite a wide river but lacks the cluster of tall buildings that we have in Liverpool. It’s been spectacular for decades. In the late nineteenth century, they decided to fill in St Georges Dock and create the reclaimed area of land known as the Pier Head. Three buildings were erected directly on the foundations of the three former docks, which explains why we have three architectural gems standing side by side. 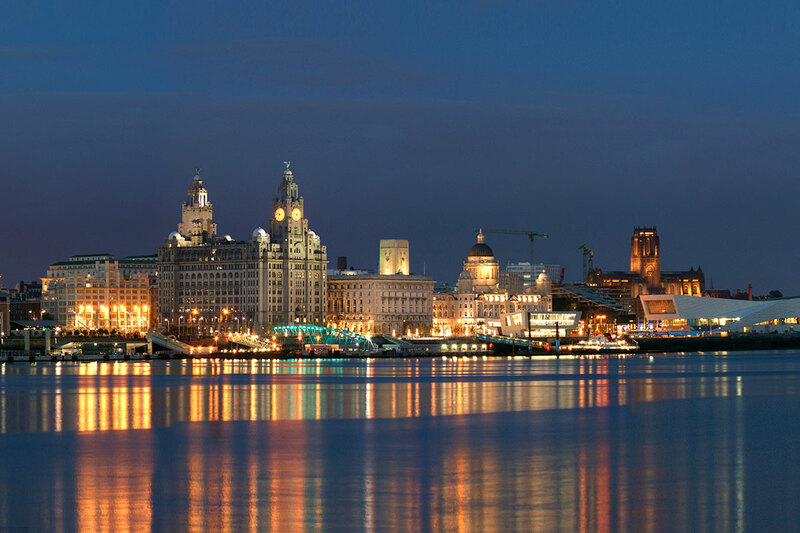 Almost as soon as the Liver Building was finished 1911, it became a major landmark and symbol of the city. The Cunard and Port of Liverpool building were completed a few years after. Over the course of the twentieth century, more buildings appeared on the Liverpool skyline: The Anglican Cathedral, The Metropolitan Cathedral, St John’s Beacon, now known as Radio City Tower. A few were lost, including the Customs House, which was damaged in the war and could easily have been restored. The Liverpool Overhead Railway was another integral element of the waterfront which sadly closed in 1956. In the 70s the ‘Three Graces’ were cleaned and for the first time, the pristine-looking white stone could literally shine in the afternoon sunlight. As a child on visit to Liverpool, I was visually captivated by the buildings – for me they seeme to sing. Out on the Mersey on one of the famous Mersey ferries, the waterfront even more magnificent than before. But in recent years, still more new buildings have appeared at the north end of the waterfront, around Princes Dock, including the Beetham Tower, Katherine Tower. The Unity Building appeared just behind St Nicholas Church, now the oldest building on the waterfront. After some controversy surrounding the addition of a ‘fourth grace’, the Museum of Liverpool appeared in the second half of the 2000s. It stands at a respectul distance from the older trio, and the views from inside are stunning. It seems the waterfront has never looked better. But there has been a threat to the UNESCO world heritage status. Officials have expressed concern at the height of proposed buildings that are part of Peel Holding’s Liverpool Waters development to the north of the waterfront. In late 2015 the situation wasn’t clear though Liverpool City Council were said to be ‘taking the threat seriously’. In December 2015, the Liverpool Waterfront was chosen as England’s greatest place in the Royal Town Planning Institute’s Great Places award. I’ve taken the view of the waterfront many times from both Woodside and Seacombe, the two ferry terminals on the Wirral side of the river. But perhaps my favourite view is at dusk from Magazine Promenade. I often go for a walk there and like to look back at the waterfront as the light fades. There’s nothing more magnificent than the skyline, its light shimmering above the water. Over a period of many years, London Road Fire Station has been without doubt Manchester’s most magnificent disused building. Every day, thousands of people pass by it on the bus or going in and out of Piccadilly Station, but not everyone notices its faded grandeur. To me it has been a potent symbol of Manchester’s failure to make the best of its architectural heritage. It was given Grade II* listed status in 1974. At night I often visualise how it would look if its shiny, butterscotch-coloured exterior were illuminated by floodlights. There would be an upmarket restaurant behind the doors that were once used by fire engines. Inside the main entrance would be a hotel reception by the main entrance and there would be an art exhibition inside the inner courtyard. The best time to photograph it is on a sunny morning when the sun is shining from the south east along Fairfield Street, lighting both its main facades. It’s also possible to take it in the afternoon when the light reflects off the smooth, reflective surface of its tiles. London Road Fire Station was built in 1906 around the same time as the Victoria Baths. The Victoria Baths is often called Manchester’s Water Palace. The fire station also looks like a palace but it’s devoted to another element – fire. On the exterior there above the door there is a frieze with women symbolising the elements fire and water. It served Manchester for most of the 20th century, including two world wars and the uncertain post war years. It was vacated by the Fire Service in 1986 and most of the building has been empty since then. Former owners Britannia Hotels had planned to redevelop the building but for various reasons they were unable to proceed. They were criticised for allowing the building to deteriorate, though I have heard that they carried out some work on parts of the building to prevent further damage. In late 2015, the building was purchased by Allied London who have plans for restoration. Shortly after purchasing it, they announced a new name: ‘Manchester Fire House’. The Friends of London Road Fire Station have been campaigning for long time to save and restore the building, and are said to be very happy that the building has been sold to Allied London. As I understand it, the Friends would like it to be restored as a combination of a hotel and perhaps an arts centre, with other possible community uses. 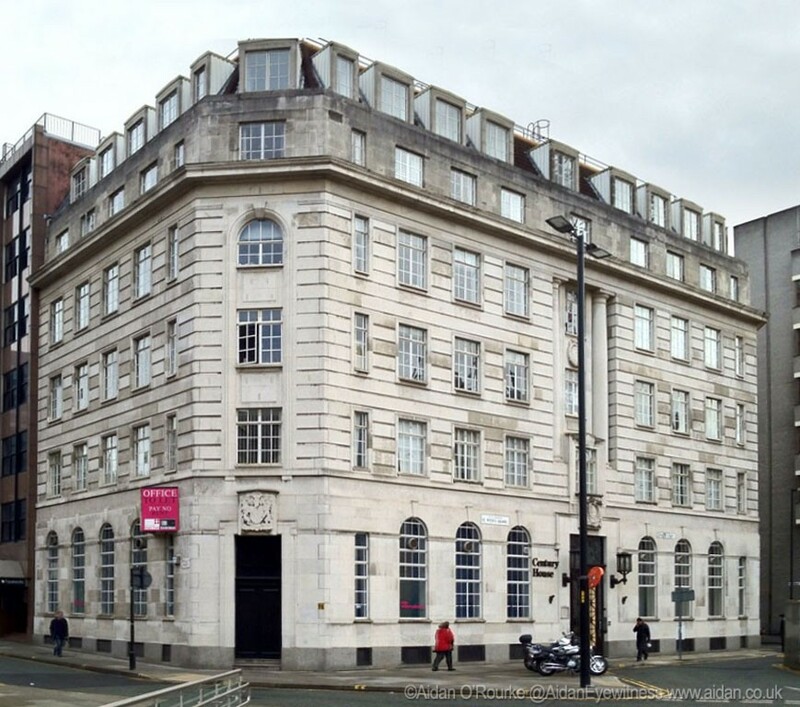 Manchester City Council would like it to be re-opened as a hotel. Standing in the shadow of the Old Fire Station is the site of the building that from the early 70s to 2012 was the home of the legendary Twisted Wheel night club, famous for Northern Soul. Club nights took place in the basement with its arches, similar to the Cavern Club in Liverpool. With their irregular facades, the buildings reminded me of Amsterdam. 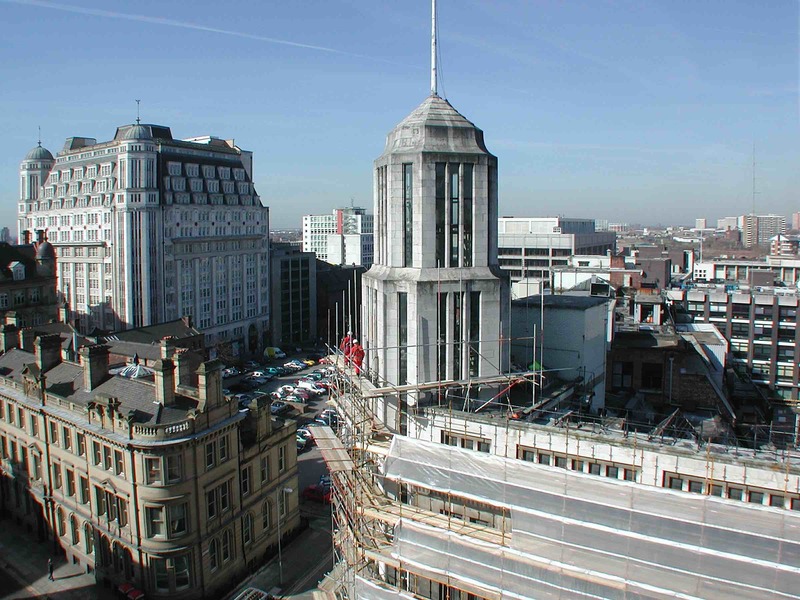 With the approval of Manchester City Council the buildings were demolished in 2012 to make way for a modern style hotel. In my opinion, they should have been retained.